50ml (1.69 OZ.) 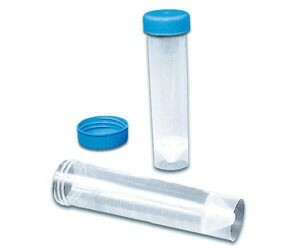 polypropylene centrifuge tubes with molded-in graduations. Polypropylene tubes are semi-transparent and have excellent chemical resistance. Tubes are non-sterile. Molded in seal-ring ensures a leak proof seal without contamination problems associated with cap liners.